This stunning, light-filled home is very spacious with 4 bedrooms, 2 baths and an open floor plan. Centrally located, it is truly moments away from fine shops and restaurants at Kensington Circle. Stroll to the bakery for your morning coffee and pastry. Features include a modern kitchen with custom cabinetry, overlooking partial views of San Francisco and Mt. Tam. This spacious living room with a fireplace opens to the dining room, great for hosting and gatherings. Gorgeous hardwood floors, Lower level has a bonus area for a family room/ game room/ home gym/ office and an attached garage. A wonderful sun filled west-facing backyard for relaxing outside-inside living. Enjoy two patios for entertaining and a natural gas BBQ grill all in a beautiful low maintenance modern-style yard. 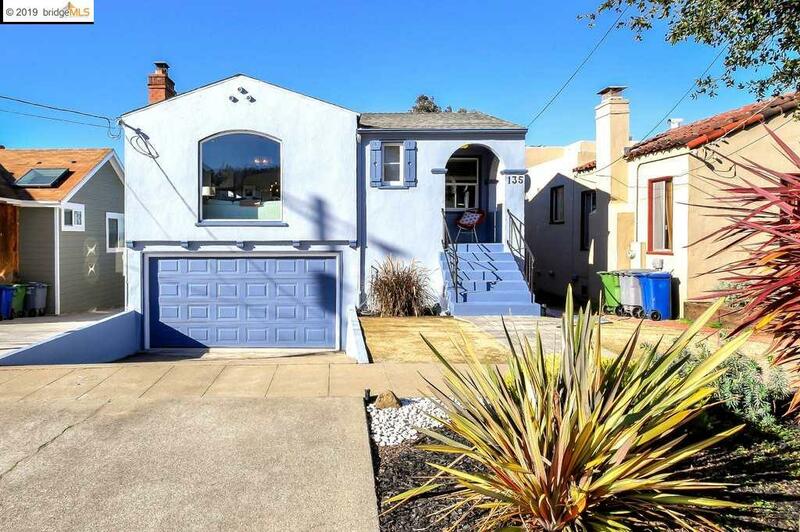 Close to many restaurants, Solano shops, El Cerrito Plaza BART station, FWY, easy commute to SF, Tilden park, hiking trails, farmers market and more.